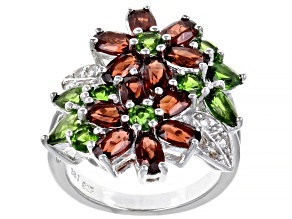 Mozambique Garnet, Russian Chrome Diopside And White Topaz 5.41ctw Sterling Silver Ring . 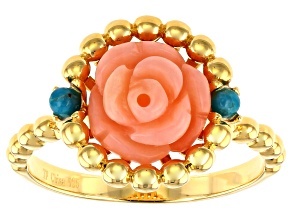 There's no wrong time of year to wear a flower ring. 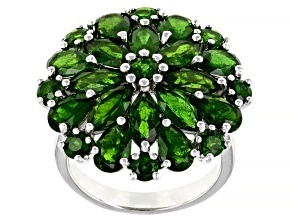 You can use a floral ring to celebrate the arrival of spring, or you can wear it to remind yourself of all the beauty of the natural world during the winter months. 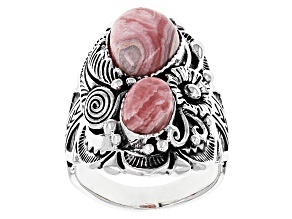 They are a great way to pep up your look and celebrate Mother Nature at the same time! 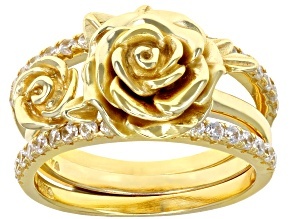 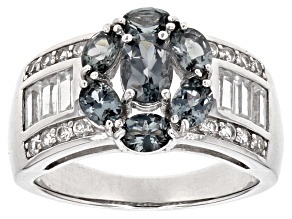 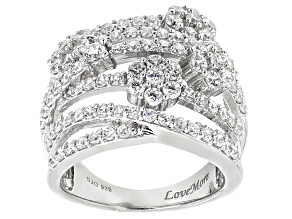 You're sure to attract attention with a graceful and elegant flower ring. 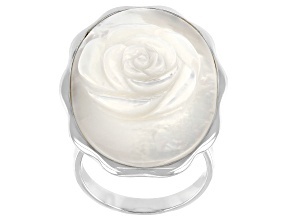 You'll discover flower rings for sale at JTV that use all of your favorite materials. 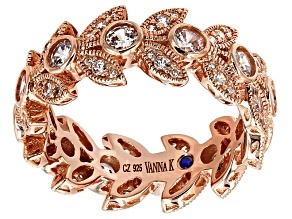 It doesn't matter if you're a fan of white gold rings, rose gold rings, or another type of material altogether - there are a number of materials to choose from. 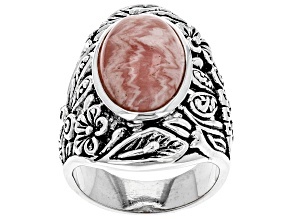 Plus, there is a wide array of gemstone choices to make as well. 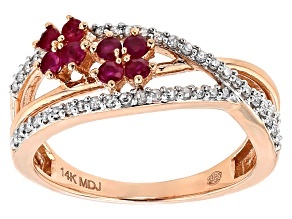 Red coral, pink sapphire and white diamonds are just a few of the types of gemstones you can easily work into your floral inspired look. 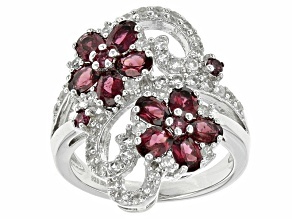 There are also a number of different types of flower rings for sale to fit your personal style. 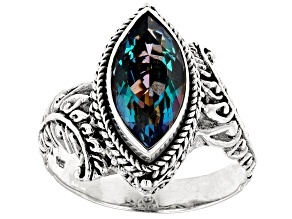 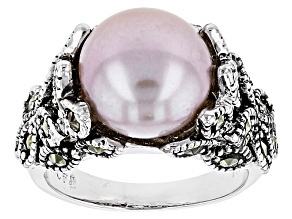 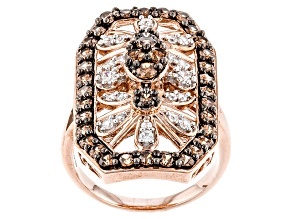 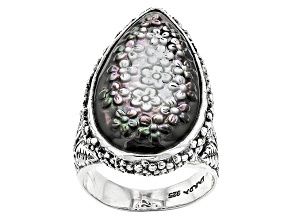 There are large statement rings as well as more subdued and stately ones. 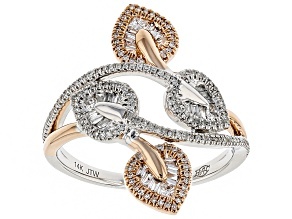 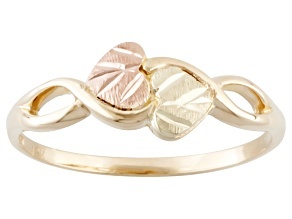 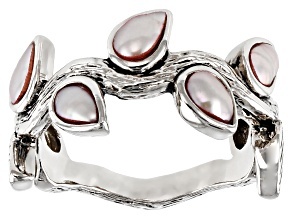 Choose an abstract flower ring to evoke a hint of nature but still keep them on their toes. 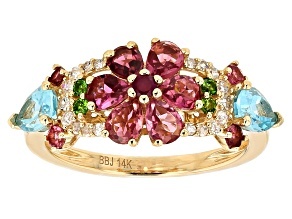 Wear a multi-colored flower ring to make sure that you stand out from the crowd. 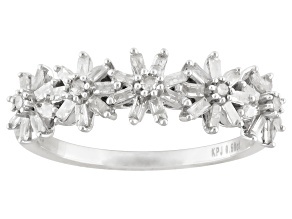 You can pick out a filigree ring with a flower pattern when you really want your audience to get lost in your intricacies. 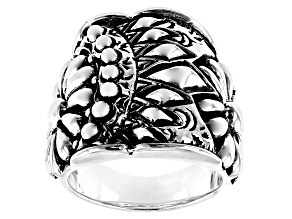 You can even kick your botanic look up another notch when you pair your flower ring with a flower bracelet or a flower necklace. 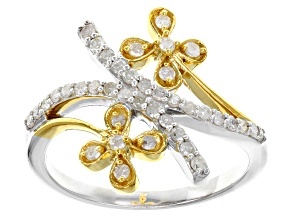 No matter which flower ring you choose, one thing is for certain: everyone will know that you are the type of person who can appreciate the ephemeral beauty of a flower in full bloom.